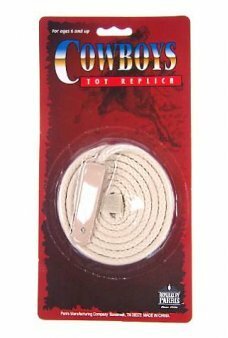 Dress up like a real Cowboy or Cowgirl with our shiny silver spurs. 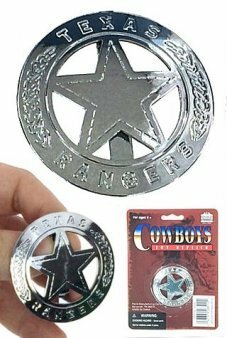 The 8 point stars spin on this high-quality metal sp..
Reach for the sky partner, there's a new sheriff in town! 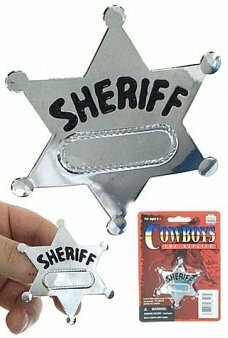 Wear this shiny silver tin Sheriff's badge to show the w.. 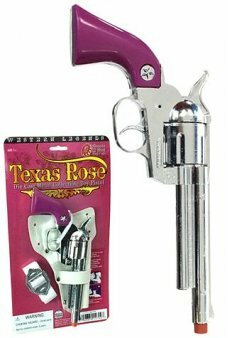 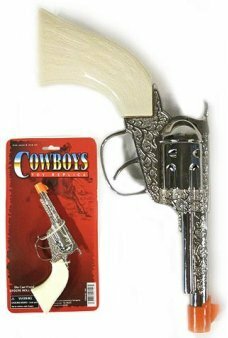 The Texas Rose silver and purple revolver is a full size toy gun for girls! 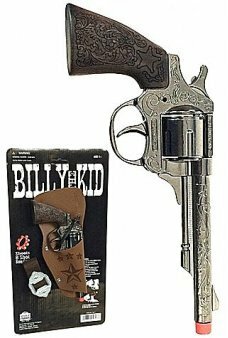 Our beautifully detailed die..
Billy the Kid was a ledgendary frontier outlaw in the Wild West. 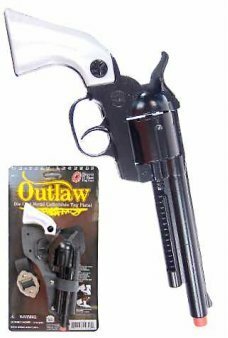 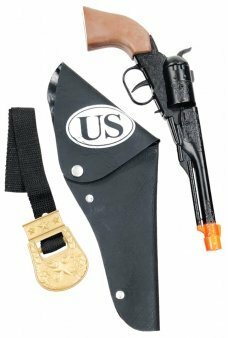 Our beautifully detailed die-cast Replica Holster gun s.. 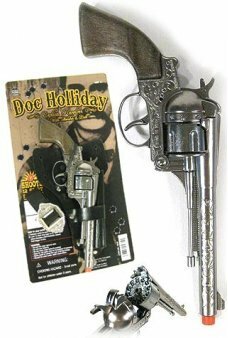 Imagine that you are a US Marshall in the Wild West. 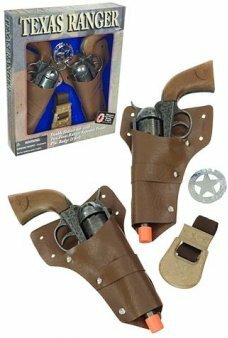 Our beautifully detailed die-cast Replica Holster gun se.. 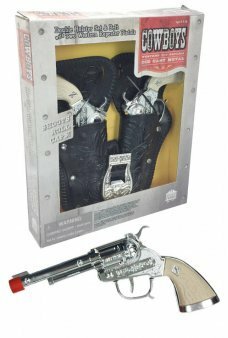 The Mustang Metal beautifully detailed die-cast cap gun set is inspired by the guns of the wild west. 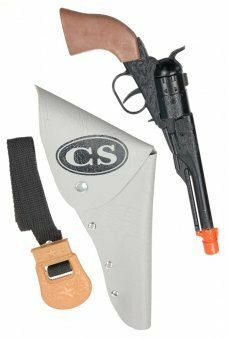 Our Italian-.. 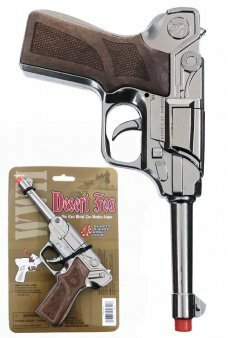 The Desert Fox Metal beautifully detailed die-cast cap gun set is inspired by the icon German WWII gun. 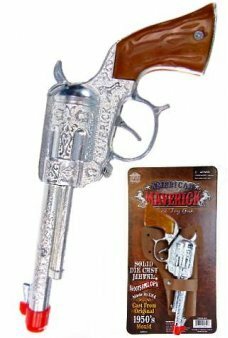 Our Spanis..
A shiny silver toy replica of the classic Derringer pistol. 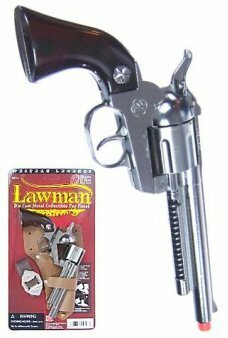 It really works as a cap gun! 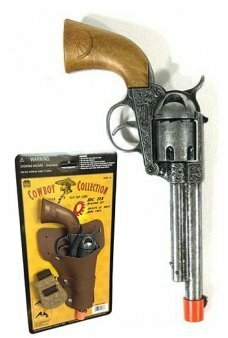 Just place a singl..
A black toy replica of the classic Derringer pistol. 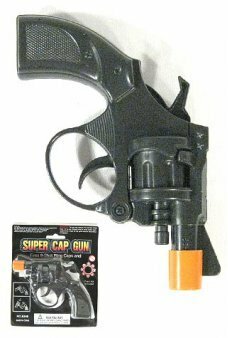 It really works as a cap gun! 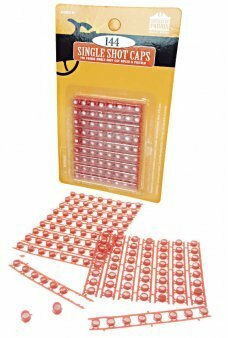 Just place a single ..
Don't forget your ammunition with our 144 Single Shot Caps Refill. 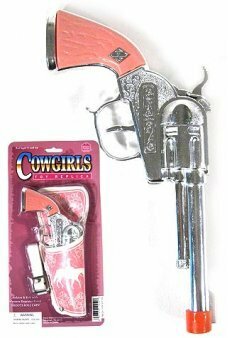 Our Western 144 Single Shot Caps Refill works wi..
A classic real metal Western-style pink toy pistol! 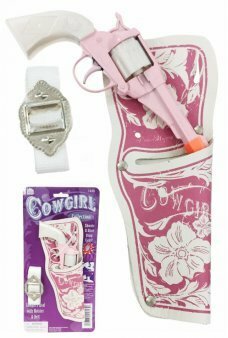 Our Cowgirl Pink Gun Set includes a matching pretty pink holste..
1200 Paper Roll shots for our Cowboy Cap Guns. 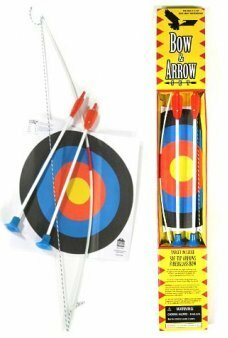 Our 2 pack of roll caps comes in handy cylinders with 600 shots per cylin..